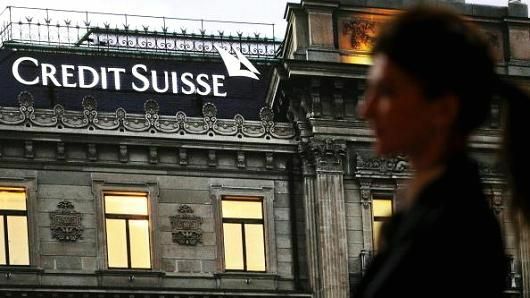 Swiss bank Credit Suisse posted a strong increase in third-quarter net profit on Thursday, beating analyst expectations amid an ongoing restructuring plan. Net income: 244 million Swiss francs ($244 million), vs. 224.6 million Swiss francs expected by Thomson Reuters poll. Revenue: 4.97 billion Swiss francs, vs. expected 4.94 billion Swiss francs, according to Thomson Reuters. Switzerland's second-largest bank reported 244 million Swiss francs ($244 million) in third-quarter net profit. The results mark the first time the lender has posted three consecutive profitable quarters under the guidance of CEO Tidjane Thiam. The lender is currently in the second phase of its three-year restructuring program. In July, the bank warned that while its wealth management had been sheltered from the current economic environment of low volatility and geopolitical concerns, its other divisions could continue to feel these effects going forward.